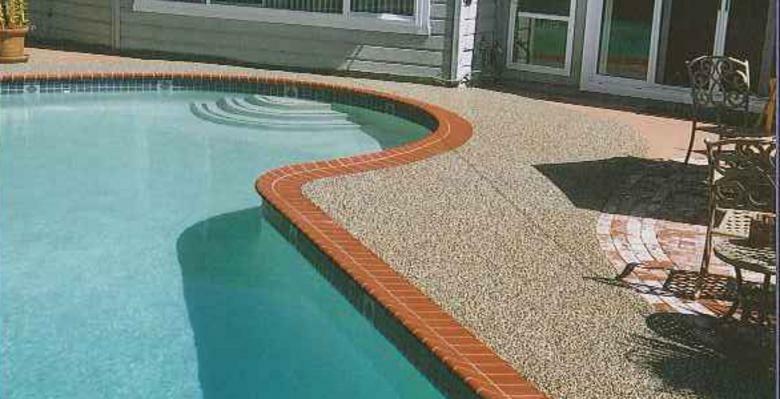 Installers of epoxy pebblestone, pebble tec, epoxy pebble flooring, epoxy stone. serving Orange County, Los Angeles county, and the Inland Empire. We also install waterproof decking, concrete cleaning and sealing. At Curb Appeal Coatings we will give you the highest quality job at a price you can afford. Owner contractor personally installs every project from start to finish. We offer the best in concrete resurfacing. For 3 generations Curb Appeal Coatings has been serving Southern California area since 1982. Let us put our experience to work for you. We are licensed and bonded with the state of California.